Deep down, everyone has a deep fascination of wild animals; there’s just something about them that piques our interest and curiosity. It just so happens that the city of Miami is a great place for animal lovers. If you want to get a close look at wild animals, Miami has you covered. Here are places in Miami that every animal lover must visit. Located on the outskirts of Miami, this is an amazing place that will blow most modern zoos out of the water. You won’t see as many animals as you would at a zoo, but the experience is essentially like getting a behind-the-scenes tour of a zoo. You have to make reservations more than a day ahead of time, but by doing so the Zoological Wildlife Foundation allows you incredible access to its animals and an up-close and personal experience you’ll never forget. The General Wildlife Encounter tour takes you through the entire five-acre facility, where you will see reptiles, birds, primates and small mammals, as well as several other animals like lions or tigers depending on the day and the mood of the animals. During the tour, some animals may be taken out of their enclosures, or you may be put into their enclosures, something that would never happen at a zoo. 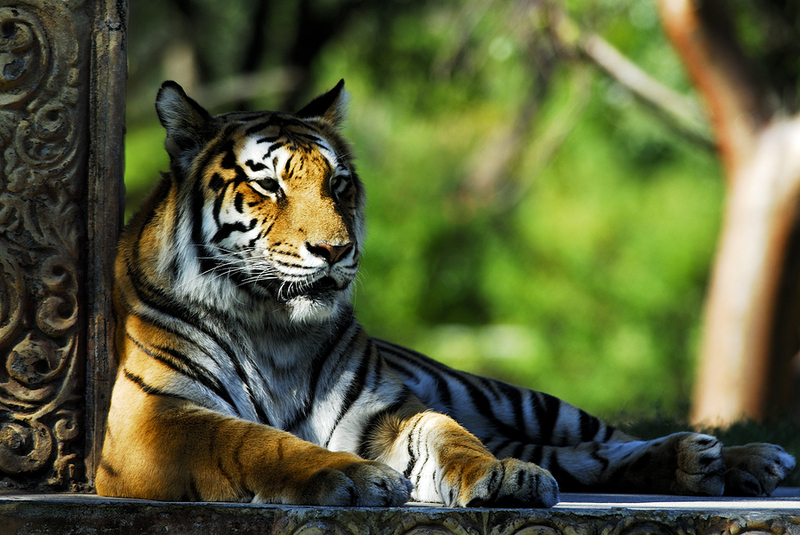 The Zoological Wildlife Foundation also offers you the chance to get even closer to some of its animals, including cougars, lynx, tigers, hyenas, sloths, and more. A trip here can be a bit pricy depending on what package you want, but they offer an experience that can’t be duplicated or imitated anywhere else. If your animal interests lay primarily with primates, it’s a no-brainer for you to visit Monkey Jungle. The park contains a 30-acre preserve where many of the 300 primates roam free as they would in the wild. Visitors have a number of ways to view and engage with the monkeys that call the park home. For instance, the rainforest jungle allows guests to view several different species of monkeys up close and personal in their natural habitat. Guests can also take the Rainforest Adventure Tour, during which they encounter smaller monkeys right in front of them and are even able to feed them. The experts at Monkey Jungle also put on interactive training shows with some of the bigger primates present like Orangutans and Gorillas, giving guests no shortage of fascinating things to see at Monkey Jungle. Last, but certainly not least, there is Zoo Miami, a 300-acre zoo south of downtown Miami that has no shortage of things to see for any animal lover. The zoo features dozens upon dozens of different animal species from all corners of the globe. There are too many to name, but all the key players (lions, tigers, elephants, etc.) can be found. Zoo Miami also offers some amazing attractions, including camel rides, giraffe feedings, as well as playgrounds and water play areas for kids. There’s so much to do at Zoo Miami that you’ll be lucky if you can fit everything into one day. The food choices in Miami are as amazing and diverse as the city itself. But as exotic and intriguing as some of the restaurants in Miami are, sometimes you just want to keep things simple and grab a burger. Of course, in Miami, just wanting to grab a burger opens up a Pandora’s box of options for you. Here are four restaurants in Miami where you can find some of the most incredible burgers you’ve ever tasted. Located in Hallandale a little north of Miami, Frankey’s one of South Florida’s newest sports bars, but it’s quickly becoming one of its best. 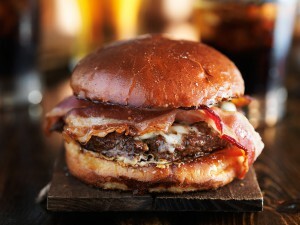 One reason for this is the Adena Burger, which uses beef raised on a family farm in the central Florida city of Ocala. The Adena is a thick and juicy burger with melted cheese, topped with lettuce, tomato, and onion. It sounds a bit simple, but with the quality of beef, the Adena Burger hits the spot. On the outside, Bulldog BBQ looks like another innocuous restaurant in North Miami, but inside they are grilling up The Hot Mess, a work of art by barbecue great Howie Kleinberg. This burger is cooked with Certified Angus Beef, so you know you’re getting a quality piece of meat. Then it’s topped with bacon candy, roasted mushrooms, blue cheese, caramelized & crisp onions, and horseradish mayonnaise, just in case it needs a little extra kick. This is a burger that’s going to require two hands and your full attention to eat. Located in Coral Gables, this restaurant has a secret burger, literally. The Local has an off-menu burger called The Secret Burger. It is massive and only meant for those South Florida natives who know where to find it; not that they’ll say no if a tourist comes in and asks for it. Just be warned, this is only for serious burger eaters. It starts with the bun, which is actually two Mc’Discos, which are made in house by pressing pimento cheese spread between a potato roll. The meat is a bacon and brisket blend, and it’s topped with fried onions, a house-made barbecue sauce, and a fried egg. Now you know why they try to keep it a secret. In the heart of downtown Miami you’ll find a French bistro called db Bistro whose burger will shock you. It doesn’t have a fancy name (The Original db Burger), but many in Miami consider it the best burger in town. This burger doesn’t rely on fancy or elaborate toppings; instead, it’s a burger made of sirloin that’s stuffed with braised short rib, truffle, and foie gras. If you consider yourself a burger lover with a sharp pallet, you may have found the Holy Grail at db Bistro. 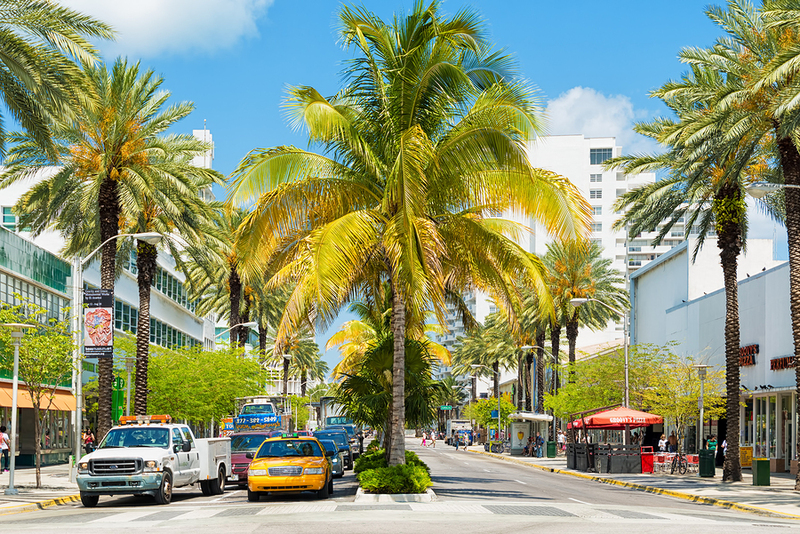 If you’re looking for a place in Miami where you can shop, eat, or just hang out for the day, look no further than Lincoln Road Mall. Located in the heart of South Beach, Lincoln Road Mall is an outdoor wall with blocks and blocks of shops, restaurants, bars, and other enjoyable ways to spend your time. You can walk up and down Lincoln Road all day and never run out of fun places to go, but here are places you must check out while at the Lincoln Road Mall. Located on top of a parking garage, Juvia is a great place to relax after a day of walking up and down Lincoln Road. You’ll come for the view, but you’ll stay for the fine food and drink, as well as the ambiance. The open-air setting makes the vibe there fun and relaxing, just as one would expect on South Beach. The food combines influences from French, Japanese, and Peruvian cuisine, so the dishes and appetizers are much different from what you’ll find at any other place, and with a full bar, you’ll also be treated to some delicious cocktails. HaVen is undoubtedly one of Miami’s top social hot spots. It’s part restaurant and part lounge, and features some of the best mixologists on South Beach, making it a perfect place to spend happy hour. However, it’s also part nightclub, with neon lights, a video wall, and great music, making it a place where you can hang out long into the night. Whether you want to sip a high-end cocktail, get your groove on dancing, or taste one of their many incredible appetizers, HaVen is a great place to check out, day or night. The Colony Theater is one of Miami’s amazing Art Deco buildings, and not only is it an historic location that you have to see for yourself, but it’s also a great place to catch a show. The Colony Theater offers musical performances, operas, dance performances, and films, all taking place in a small, intimate venue that brings you up close and personal with some amazing performers and shows. You’ll have to do some planning, as the Colony doesn’t offer shows every day, but if there’s an intriguing show coming up, planning a day at the Lincoln Road Mall around a show at the Colony Theater sounds like a great idea. If you want to grab a bite on Lincoln Road at a place that’s both casual and unbelievably delicious, you’ll want to stop at Huahua’s Taqueria. It’s located right on the edge of Lincoln Road, so there aren’t large crowds to fight, and you have the choice of eating either inside or outside. The service is usually quick, and whether you get a taco, burrito, or nachos, the food is incredible and will leave you wanting more. If you want lunch, dinner, or some late-night eating while on Lincoln Road, Huahua’s Taqueria is one of the best options available. As we head into the month of April, the weather in Miami is starting to heat up, and with that, residents and visitors can really start to experience all that the city has to offer. Warm weather in the spring and summer creates endless possibilities for fun and interesting events in the city of Miami. April is just the beginning of what should be an exciting summer in South Florida. Here are five events that you need to check out if you’re in Miami during the month of April. Since 2009, the first year of the Miami Beach Gay Pride Festival, the event has grown leaps and bounds and is now one of the biggest annual events celebrating the LGBTQ community in the world. There are events held throughout the week leading up to the festival, including parties, musical performances, and appearances by celebrities. The main event is the parade, which starts Sunday, April 10th at noon, taking place on Ocean Drive between 5th and 15th street. Anyone who loves a parade, or simply wants to have fun, is encouraged to attend the Miami Beach Gay Pride Festival. More information on the event can be found at the festival’s official website. 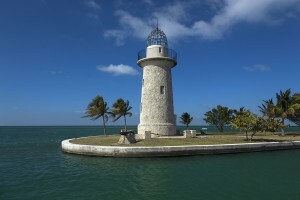 For the ultimate family fun day that’s free of cost, come out to Biscayne National Park the afternoon of April 10. The event takes place the second Sunday of every month from December to April, so this is your last chance to attend until next winter. This month, the park is highlighting the variety of ways in which families can have fun in national parks, from rock climbing to bird watching, and everything in between. If you bring your family to Biscayne National Park for Family Fun Fest, there’s bound to be something everyone in your family will enjoy. Anyone who loved the classic 1987 film Dirty Dancing has to check out the stage version. Many of the unforgettable songs from the movie that starred Patrick Swayze and Jennifer Grey are performed during the stage show, as well as a few extra scenes audiences are sure to enjoy. Between April 12 and 24, there will be 16 performances at the Au Rene Theater at the Broward Center for the Performing Arts in Fort Lauderdale, so there will be plenty of opportunities to see it and no excuse for missing it if you’re in Miami during that time. You won’t believe your eyes when you get a look at the Acrobats of Cirque-tacular. It’s a family-friendly show that will having you watching in utter amazement, as the performers fly through the air and contort their bodies in ways you didn’t know were possible. The Acrobats are sure to impress you, and there’s no way you’ll go home disappointed. It’s also a one-night only show, taking place April 24 at the Lauderhill Performing Arts Center just north of Miami; don’t miss out.